Nestled away within the stylish and nostalgic Flying Fish lies an elegant private venue- The Flying Fish Pier. 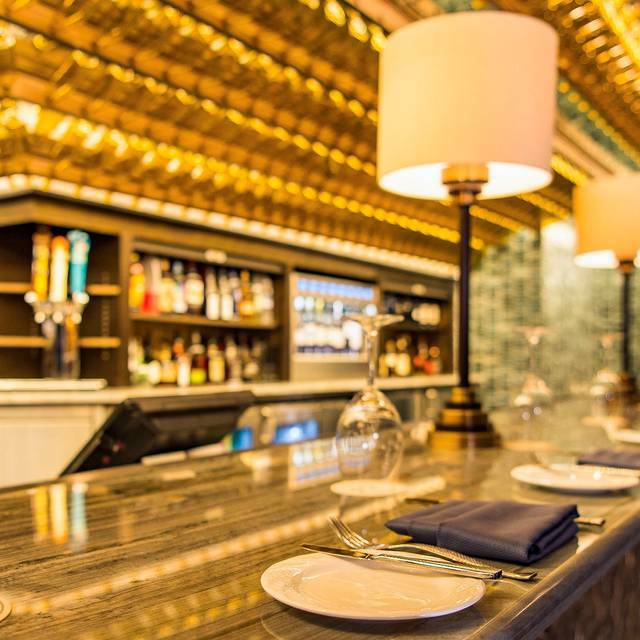 This contemporary chic location is the perfect place for guests to enjoy mouth watering cuisine, wondrous décor and sophisticated interpretation of nostalgic seaside luxury dining. Call 407-929-2398 to book your private event with us. 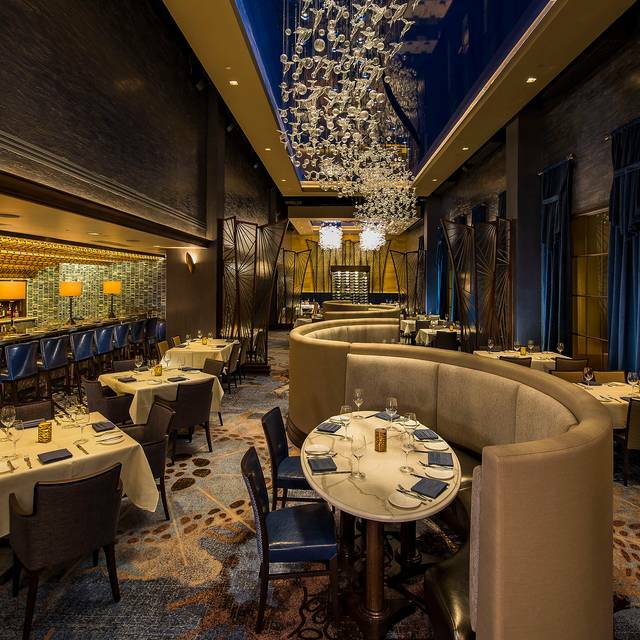 Feast on premium sustainable seafood and prime steaks at this contemporary American restaurant on Disney’s BoardWalk. Savor a sophisticated interpretation of nostalgic seaside meals—our menu exudes pure epicurean genius. 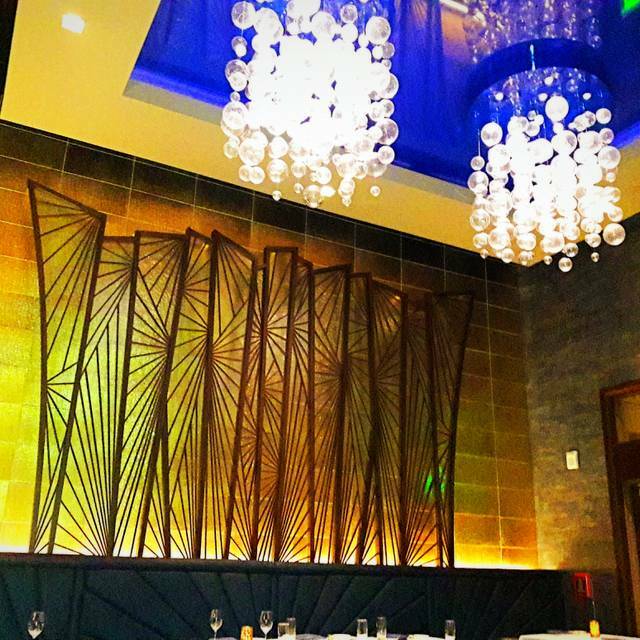 Step inside this recently redesigned location and discover a warm, welcoming ambiance that defines luxury dining. 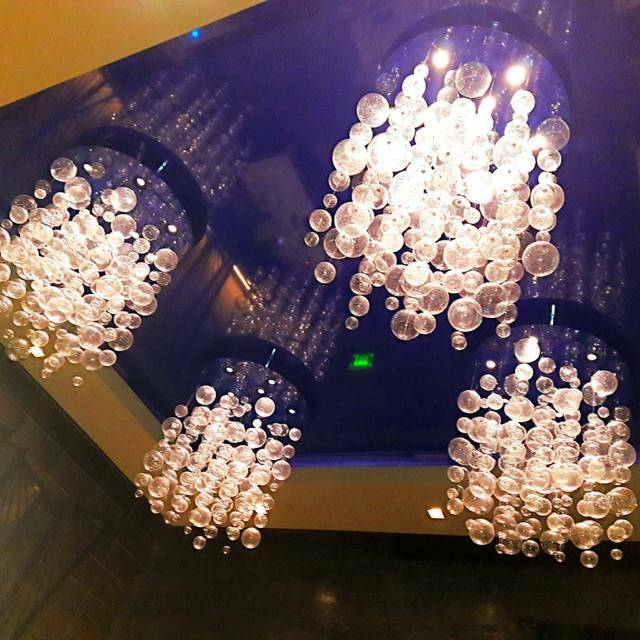 Unexpected details—in our impeccable décor and menu—are sure to impress Guests. Each delicious dish is more mouthwatering and visually stunning than the next… we’ve fire roasted gourmet seafood into fine art. Peer into the open kitchen from your exquisitely set table and watch our master chefs create one culinary masterpiece after another using the freshest ingredients. Disappointing experience with my family as we hoped for a special evening out and endured a snobbery evening with food that was not fabulous. My family opted to leave and have dessert elsewhere. Estaban was very attentive and knowledgable of all the choices on the menu. 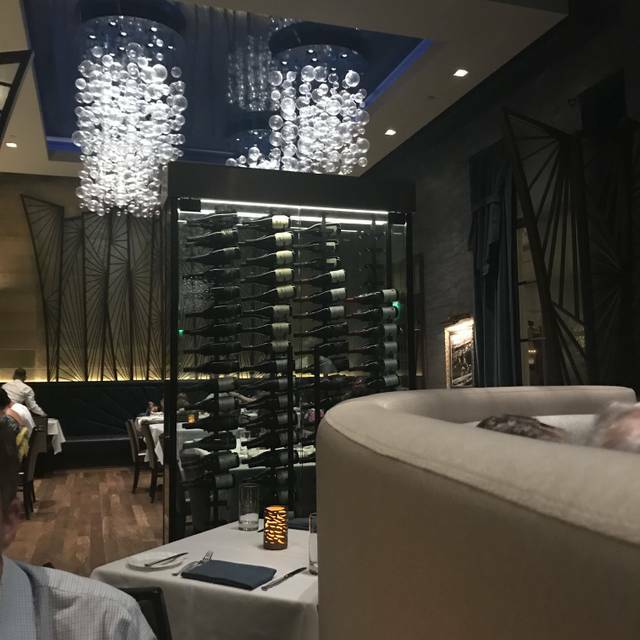 this was our 4th time there and have always left more than satisfied with the meal ,the Sea Bass and Scallops were absolutely our best meal in the the 5 nights we were at Disney on this trip. Great food and great service. This is more of a family restaraunt than a romantic spot. Food is always great and Izzi makes it more enjoyable. He was awesome with my kids. Everything is great with this place! Kevi and Bill are extremely friendly and knowledgeable bartenders. 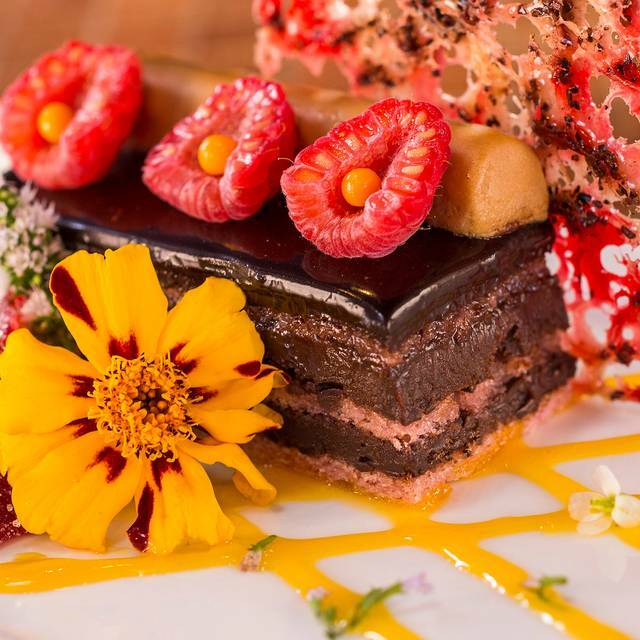 The Chef will accommodate food allergies as everything is made fresh. Waiter Danny was outstanding and very accommodating. Food was good and very nice ambience. Would recommend. We had an amazing time! We were thankful that they accommodated our request to join our reservations to a group of 12. JR our waiter was outstanding!!! Food was amazing and an excellent time was had by all!!!! Thank you so much for a wonderful memory! Outstanding food and service. Our favorite place to eat in Disney. Prices on the high end but worth every penny. Had a nice dinner at Flying Fish Café. The ambience is beautiful since the renovation a few years ago. Request either Geisa (pronounced Jasa) or Joey for your server. Say Hi to Lisa the mgr when you pop in. In case you’ve never heard of this restaurant, it’s at the Boardwalk at Disney where there is plenty of self parking. Worth the drive. Came here on Friday during Lent. Very nice place but dropped over a hundred just by myself so a bit pricey. We grabbed cocktails at the bar prior to being seated. The bartenders were both spectacular and served me the best manhattan I ever had. We also had our appetizers at the bar. The pork belly and the cheese platter were both fantastic. We both had fish dishes for our main courses. Once again, beautiful presentation, perfectly seasoned and cooked. I would have licked my plate clean if my wife wasn’t there who would have strangled me. Desserts were a cheesecake and a cocoa breach cake. Loved the cheesecake but with I had the cocoa breach as well. They were delightful. The restaurant itself is overall fantastic and it does deserve top ratings. I wish it was in Disney Springs rather than on the boardwalk as there is not a great deal to do there aside from a walkthrough and eating. I will return here for dinner but I made the mistake of showing up 3 hours early to walk around. It was tough to kill the other 1-1/2hours waiting for our reservation. The food was delicious however the service was poor. Made a reservation a week in advanced and was told we would be seated at 7:30 pm per our reservation. 7:50 came and we still weren't seated and no one gave us updates. Finally 8pm we are seated. The server took forever to get to us and only attended to bigger tables. I had to ask other staff members for dessert menus. Everyone around got their food first even bigger parties and we were sat first. Our waiter didn't update us until I literally stared at her and she came over and told us it should be coming soon. Didn't check up on us but managed to make her way back to her other tables several times. Even after the bad services I still tipped her 18% =27.00. Food is worth it but the service is poor. Also it is Very noisy in there! Hard to have a wonderful date. The food was very nice, but a bit pricey/ We had a drink at the bar before dinner, and I was surprised that the bartender gave me a margarita with no salt on the glass rim, although I had ordered it with salt. He said the restaurant was "out of salt". I found that a bit strange. But, the margarita was good. I would recommend it for a very special occasion, but not just to drop in for dinner. We had two people with food allergies, and everyone was very accommodating. The food was tasty, and we enjoyed being able to go out on the Boardwalk after dinner. This place is charming. I wasn’t expecting anything special because there are several other Disney World/Boardwalk-vicinity restaurants nearby that are just “ok.” But this place really does offer exceptional food and service. We started with the fried oysters, grilled romaine salad, and mussels. The delicate pickled accompaniments and dipping sauces were delicious. The complimentary olive bread and rosemary butter awaken your palette, but there’s not too much to kill your appetite. Our main courses included perfectly cooked, melt-in-your-mouth filet mignon with a rich, tasty mushroom Risotto, Salmon in a toasty cauliflower purée, and a buttery lobster tail add-on. 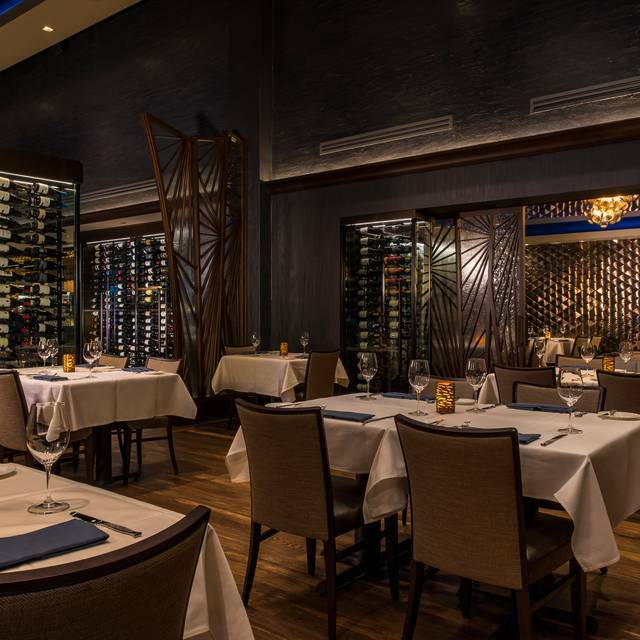 Delightful food, wine and ambiance can be found here, in the heart of Disney World! The New York strip was amazing as was the chocolate cake dessert. Waygu steak was ordered medium, came rare (confirmed by waitress). Replacement steak arrived cooked properly but was just slightly smaller (visually noticeable). Order expensive 3 red wine flight, one glass had a lot of sediment. Waitress and staff were apologetic. Waitress comped us a glass of wine. Which was fair. Excellent place was probably just dumb luck. But with a $325 meal you should expect zero issues every serving. Ate at bar. Kevi and Bill were excellent...great service and recommendations. Food fantastic. Very nice dinner! It started with the crusty (in a good way) bread and continued with the fried oysters. The Waygu filet and the seafood pasta were both excellent. And finally my happy birthday dessert and split chocolate martini made the night an overall success. My wife and I enjoyed Flying Fish since the last time which has been more than five years. The changes are superb. The staff was great, food was awesome and we will be back for sure. Made a reservation for dinner same day, and man it was great! All around wonderful from ambiance, service, the food exceptional! We will highly recommend and return! Amazing!!! Some of the very best food I can remember eating in a long time ( which is really saying something!). The steak was incredible, cool new vibe with the remodel and the staff was superb. Can’t rate highly enough!!! I enjoyed the meal immensely. The quality of the food and preparation was top notch. The servers were pleasant, attentive, and engaging. What a surprise to find a high-quality, tranquil seafood restaurant in the middle of Disney World's Boardwalk. We scheduled an early dinner before catching a flight home on our last day and the waitstaff went above and beyond to ensure we made our flight. The scallops were delicious and the restaurant was beautiful. We will definitely be booking a more relaxed dinner on our next trip to Disney. It was awesome!! Waiter was phenomenal and food was delicious! Awesome food and service. We go every year when we visit Orlando!! Kris, our waiter, was superb. He was friendly, cheerful, knowledgeable about the food and really made us feel he enjoyed serving us. Just a fabulous evening with my wife. Started with incredible smile and service by our waitress, Stephanie. it got even better with their acknowledgement of wife’s allergies and sensitivity to assist in her food selections — which included a visit by the chef, Derrick, at our table to pinpoint a custom selection for her. Wow! What service. It all got even better with outstanding dishes, wine pairing, and a personalized dessert for me celebrating my 60th birthday. Top-notch place. Well done by a top-notch staff, including the manager, Ted, whom stopped at the table to assure all was well. Fabulous! The food was great! We had a reservation but they didn’t seat us until 30 minutes after that. The food was cooked to perfection and tasted amazing. The staff is very friendly and helpful. My husband has food allergies and so the waiter was very cautious to explain what he could and couldn’t eat, what his food could’ve come in contact with and whether or not they use the same pans or frying oil with the things he couldn’t eat. Everything came out pretty quickly and it wasn’t at the expense of the flavors or presentation. They also make one of the best classic margaritas I’ve ever had. Although the prices here are pretty high, this has become one of my favorite places to eat for special occasions. This is not the first time I’ve come to the Flying Fish and it definitely won’t be the last. When you get an overwhelmed server it usually leads to a poor dining experience and it did for us. The food is typically outstanding but when served room temperature it's not up to par. Then when the server doesn't check on us for fifteen minutes it's even worse. 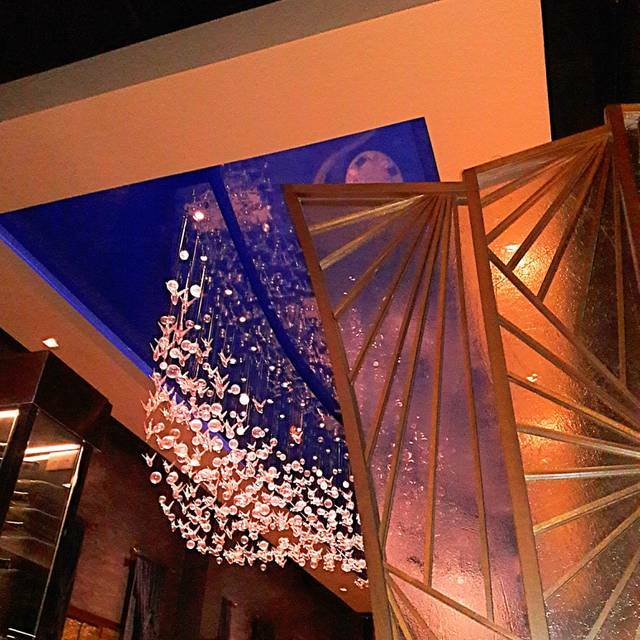 Like the ambiance, but cold food and poor service ruined our evening. Our sever, Danny, was outstanding. He made our son’s birthday dinner truly delightfully, he is the gold standard for personal level and efficient service at a fine dining location. As always, the food was perfect. The Sea Bass and Salmon were perfect and awesome! Our waiter Joey was excellent. Excellent service. Excellent food. One of my favorites on Disney property for both those reasons. Well worth the extra effort to get there if you are not already in the Epcot resort area. 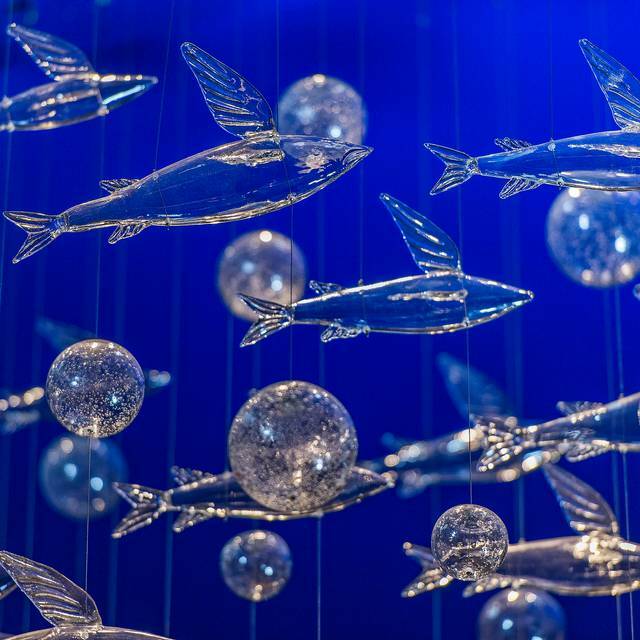 Flying Fish was a wonderful dining experience at Disneyworld! The service was impeccable! The menu options were tempting and priced well! We loved Chris, our waiter! We will definitely return!